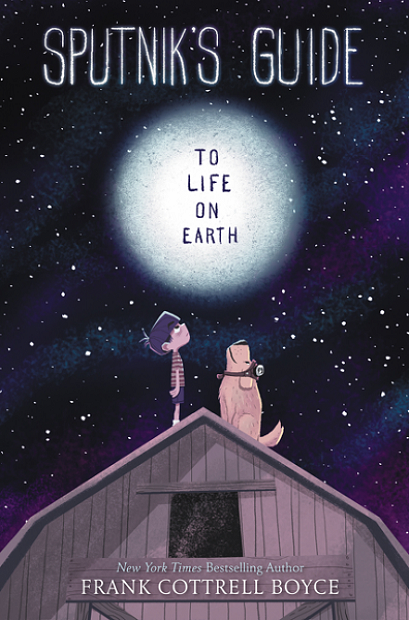 One of the titles that has been on my book radar recently is Sputnik's Guide To Life on Earth by Frank Cottrell Boyce. This book is published by Walden Pond Press, which has also published a few of my favorite middle grade reads of the last few months. After reading a few reviews of Sputnik's Guide to Life on Earth, I put the book on my to-be-read list. I look forward to reading it in June when it is published. Frank Cottrell Boyce is the author of Sputnik's Guide to Life on Earth, The Astounding Broccoli Boy, Cosmic, Framed, and Millions, the last of which was a New York Times bestseller and was made into a movie by Oscar-winning director Danny Boyle. His books have won or been nominated for numerous awards, including the Carnegie Medal, the Guardian Children's Fiction Prize, and the Whitbread Children's Book Award. Frank is also a screenwriter, having penned the scripts for a number of feature films as well as the opening ceremony of the 2012 London Olympics. He lives in Liverpool with his family. Seven winners will receive a copy of Sputnik's Guide to Life on Earth.